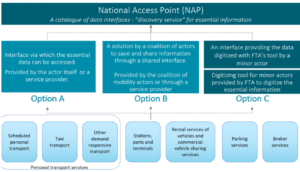 The first stage implements the interoperability of data and information systems (1 January 2018) and begins to enforce the standards on road-based systems (1 July 2018). The second stage will affect air, maritime and rail transport markets. Additionally, transport personnel qualifications are added in the second stage. The third stage will study the systems and presumably make adjustments, as necessary. The open code will allow developers to create their own apps for different market segments. 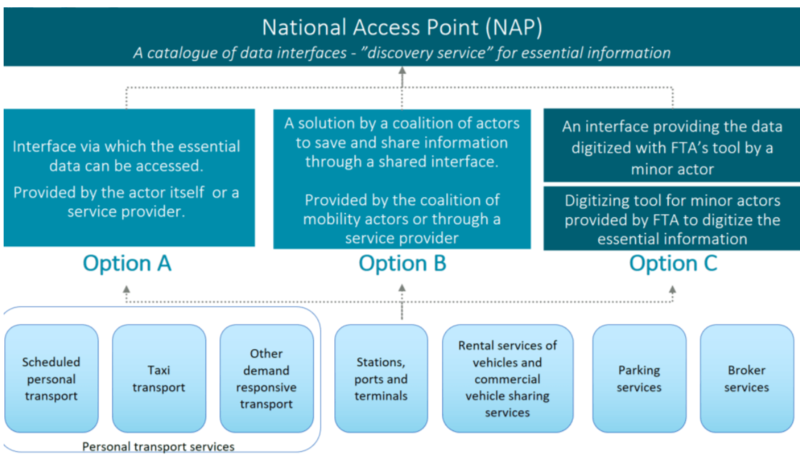 Per the Ministry of Transport and Communications program page, it will eventually incorporate the wider transportation landscape. Representatives from the government presented a summary on the state of the early implementation. A more thoroughgoing report, Lippu Project Report on Contractual Practices for Travel Chains Defined in the Act on Transport Services (Code of Conduct for Travel Chains), walks stakeholders through the each of the steps. The government also hosts the TrafficLab page that includes resources for the stakeholders and developers. Finnish Transport Agency. All of the feeds will be uploaded to, and managed by, a National Access Point.